When interviewed by The Telegraph as part of a preview event for Marvel’s Spider-Man, Insomniac Creative Director Bryan Intihar expressed all his appreciation for the first party content Sony’s studios have managed to put out (or will put out in the next year or so), vowing that Insomniac is trying to make a game of the same level with Spider-Man. We’ve worked with Sony for 20 plus years, right? As excited as I was to work with Marvel, I was just as excited to be working with Sony again. I am so impressed and in awe of what their first party studios do: look at Guerrilla, what they did with Horizon Zero Dawn. Obviously, Naughty Dog is in town and we have a long friendship with them. I am a gigantic God of War fan and I think what Cory Barlog and that team at Santa Monica are doing is amazing. And look at Sucker Punch and what they’re doing with their new IP. We are one piece of the juggernaut and I’m proud to be part of that juggernaut. For me we need to be at the quality and deliver at the level those other exclusive games have done. Indeed, this year will deliver a slew of great exclusives from Sony’s first party studios such as Santa Monica Studio’s God of War and Media Molecule’s Dreams, not to mention two big titles from the so-called second party studios, Insomniac’s Spider-Man (out September 7th) and Quantic Dream’s Detroit: Become Human (out May 25th). 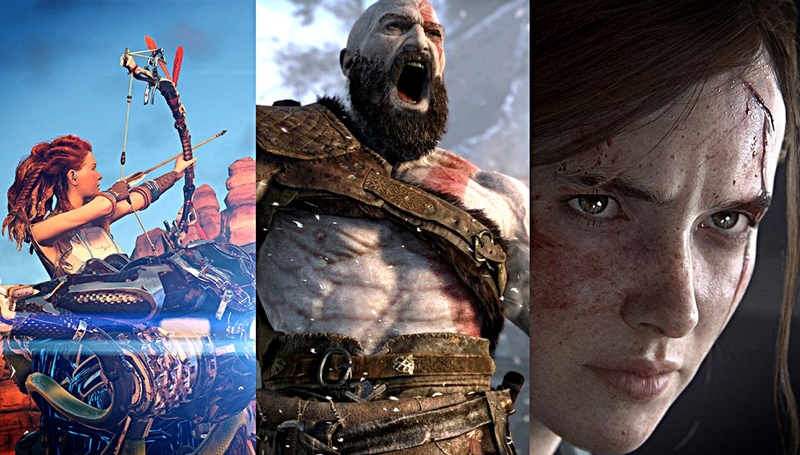 Next year may be just as good thanks to Naughty Dog’s The Last of Us Part II, Ghost of Tsushima by Sucker Punch and Bend Studio’s Days Gone, as well as possibly Death Stranding from Kojima Productions which is also going to be published by Sony. So far, this is the biggest tool in Sony PlayStation 4’s arsenal while Microsoft is still struggling to produce great exclusive content with its first party studios, as shown once again by Rare’s Sea of Thieves. However, Phil Spencer did say Microsoft is upping investment in that area – perhaps we’ll start to see some of that at E3 2018 with a few announcements.